Stratis is a “Blockchain-as-a-Service” (BaaS) platform that was founded in 2014 by Chris Trew , which means that its primary function is to be used as a basis for developers rather than as a form of “digital cash”. Possible use cases include transparency in research publications, product tracking, and data management. The main difference between Stratis and Lisk is the image and marketing that have gone into each coin. 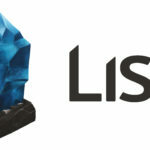 Lisk is a sort of “people’s coin”; anyone can download its blockchain and develop on it for free. However, Stratis has marketed itself as a tool particularly created for entities in the financial sector. Developers must pay for the right to create apps on Stratis’s blockchain. The fact that developers must pay to develop on the blockchain seems to be evidence that Stratis doesn’t want “just anyone” to use it for developing, which is an unusual strategy in the cryptocurrency community at large. To download to Stratis blockchain, you have to purchase the rights and tools to use it from Microsoft Azure. Stratis has also implemented the Breeze Tumblebit Wallet and Server into its network, which has the result of making the network more private and secure. The same server has also been adopted by Bitcoin. This implementation shows that Stratis is making an effort to care for the privacy and security of its holders, which is good for users and investors alike. In many ways, Stratis is extremely similar to Lisk. Like Lisk, “dapps” (decentralized applications) built on Stratis’s platform each have their own blockchain, called a “sidechain”. Each “sidechain” has a corresponding coin to go with it. The advantage of using sidechains for dapp development is that the entire network will run faster. Imagine a mall with lots of stores. The mall is the blockchain, and the cash registers in each of the stores are the sidechains. Having no sidechains on a blockchain is like having a mall with only one cash register. You could go to the stores and pick stuff out, but actually running your transaction through the cash register would take forever–the line would be huge. This is a problem with coins like Bitcoin and Ethereum, whose transaction times have skyrocketed with the addition of more users. Having sidechains is like having a cash register in every store. Instead of waiting in one giant line, you can wait in any of a series of smaller lines to pay for what you’re buying. Stratis is also similar to Lisk in that it does not have its own programming language. Rather, it uses C#. For developers, this has the added benefit that learning a new language to develop on Stratis may be unnecessary. However, in order to develop applications on Stratis’s blockchain, developers must pay for the rights and the tools to do so. Stratis will give corporations the tools necessary for building their own blockchains and coins without the “hassle” and resources needed to start from scratch. The Stratis team will also offer consulting services. Stratis’s ICO took place in July of 2016. During the ICO, 98 million STRAT coins were distributed in exchange for 915 Bitcoins, which were worth $675,000 at the time. When the coin went public in August of 2016, it was worth $0.023. At its highest point so far (June 2017), it was worth just over $10. Currently, a single STRAT token is worth $6.45–quite a remarkable rise, despite the recent fall. 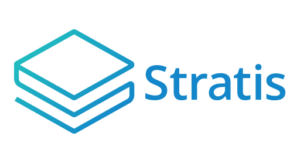 One factor that may be contributing to STRAT’s token-value rise is the fact that it has a limited circulating supply. Currently, that number is 98,519,430 STRAT. This is still much higher than Bitcoin (21 million total coins), for example, but much lower than other coins, such as Stellar Lumens (10 billlion total coins). Stratis’s core team consists of a fairly small group of developers, designers, and advisors. Its CEO is Chris Trew, who has “extensive experience in the financial sector”, although there are no specific details given. The things that Stratis really seems to have going for it are its service partners, which include Ledger, Poloniex, Bittrex, Changely, Anycoin, and (most notably) Microsoft. Stratis is currently available on HitBTC, Bittrex, Poloniex, LiteBit.eu, Livecoin, Cryptopia, Bittylicious, and SouthXchange. Stratis has its own “native” wallet, and users who use the wallet are responsible for upholding Stratis’s blockchain. The blockchain uses a proof-of-stake algorithm that rewards wallet holders for their work with STRAT tokens at random. To receive STRAT tokens, you must simply be chosen at random by the STRAT server. This prevents centralization of coin rewards to people who have the fanciest and most expensive equipment, a problem with proof-of-work based coins, like Bitcoin. Stratis has made an effort to connect with the developers’ community at large, although developers must pay to use the blockchain for development purposes. The “Stratis Academy” offers developers educational resources, test environments, and a Slack channel that can be used to communicate with the Stratis Developers and Business Team. Developers can purchase Stratis’s “full node” software on the Microsoft Azure network. The fact that this can only be purchased, and it is not available for free, is pretty unusual in the crypto world. The very concept of cryptocurrency was developed with an open-source, community-based attitude; in fact, having a strong community of developers and users is essential to the survival of any cryptocurrency. For example, coins like Stellar Lumens and Lisk offer tons of free tools for developers. This is a major part of their appeal. Clearly, Stratis has decided to offer its “full node” package exclusively by purchase (from Microsoft, no less) as a way to further position itself as a “corporate coin”. This is an interesting strategy, one that is certainly intended to attract a base of developers more endowed with corporate resources (read: $$$). 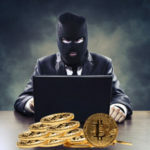 However, this will certainly deter developers who either don’t have the necessary funds to develop on the blockchain or who are not willing to pay for it. They will take their ideas elsewhere, and there is no shortage of places to go. This could potentially be a huge waste of an opportunity for Stratis. Three kinds of “full node” development packages are available for both Windows and Linux. They can be “hired out” for hourly rates (ranging from ~$0.07 to ~$0.29) or monthly rates (ranging from ~$54 to ~$218). Although Stratis isn’t the only coin that utilizes sidechains, it is the only coin that has really positioned itself as a tool specifically for financial corporations. This could go one of two ways; either it will be successfully adopted for wide use in the financial sector, or another coin (with a broader appeal, like Lisk) will overtake it. The facts that 1) Stratis has a solid team backing it up, and 2) that they have integrated consulting into their services put Stratis in a good position for use in the financial sector. Add to that the fact that it’s value has increased over 45,000%, and it seems that Stratis is on the road to at least some measure of success. That being said, the world of cryptocurrency is much more volatile than the world of traditional assets. Even the most promising coins can fall. If you believe that Stratis is a purposeful coin with a good basis of advisors, developers, and partners, invest away–however, as with any coin: don’t put in more money than you are willing to lose.